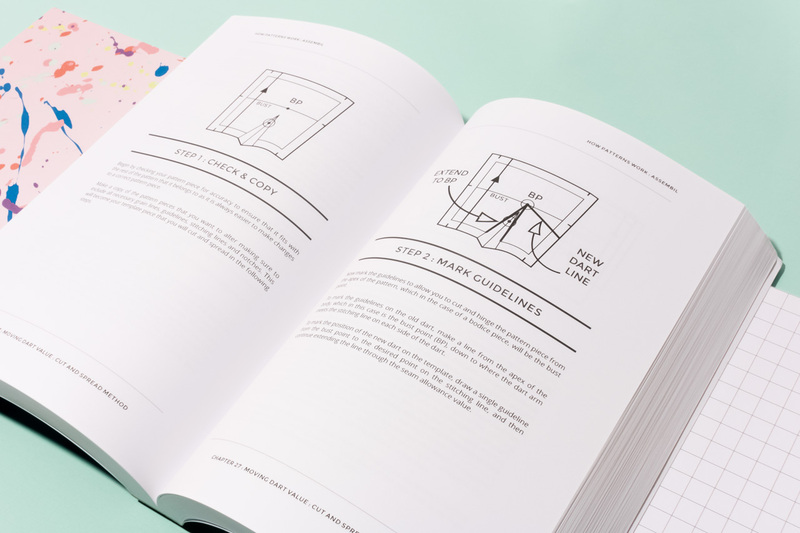 Pattern making books are typically complex books filled with measurements and ratios, which can make pattern cutting into a daunting process. 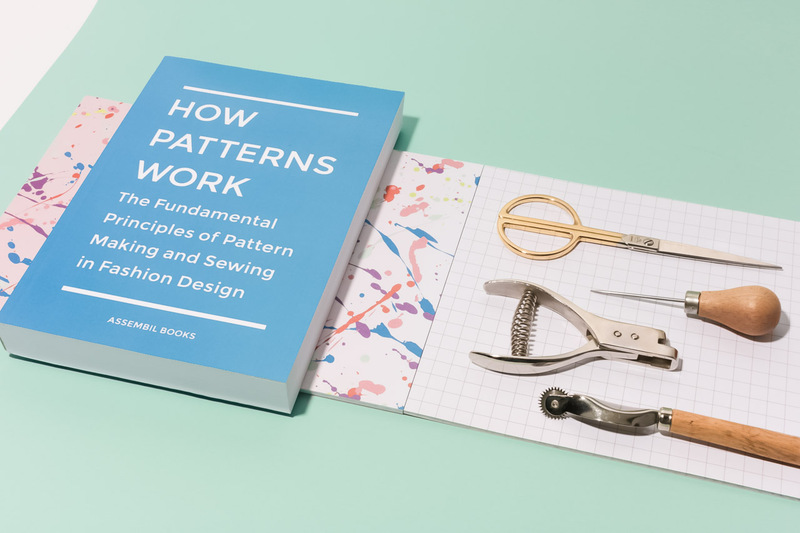 How Patterns Work takes a back-to-basics approach to pattern making to help explain the processes behind the measurements. Think of this as the perfect prequel to any other pattern making book or pattern cutting course. 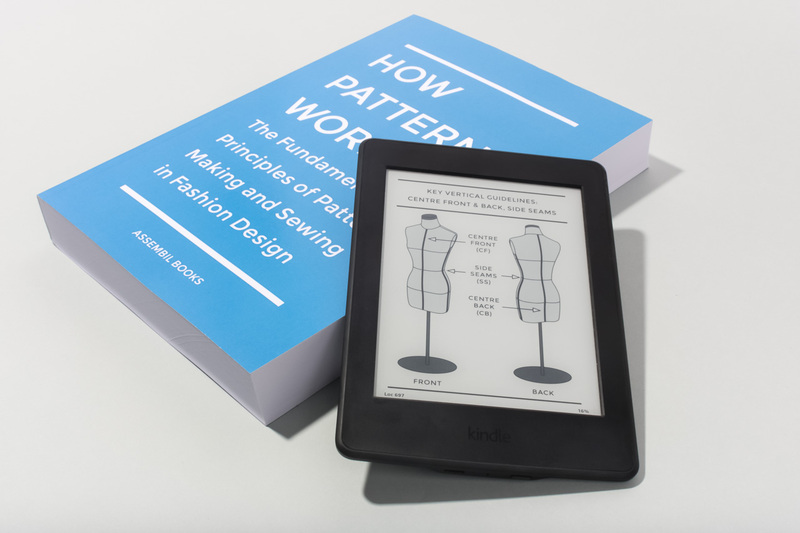 The book covers common pattern making terms and distils common pattern changes down into a few basic processes so that you can understand the relationship between 2D patterns and 3D garments. If you are new to sewing, this is an ideal first book to buy along with a comprehensive sewing book. If you’ve ever felt overwhelmed by all the markings on a commercial sewing pattern, How Patterns Work will help you to make sense of all the lines and help you to recognise common garment shapes. No prior experience of pattern making is needed. If you sew at home, How Patterns Work is the perfect way to transition into making your own pattern adjustments to commercial patterns. Build on your existing garment knowledge with this gentle introduction to pattern cutting theory. After this book, you’ll feel better prepared to use pattern drafting textbooks and able to easily follow blog posts about fit amendments. About to start a fashion design course? This book will prepare you for pattern making classes by introducing you to key terms and concepts. 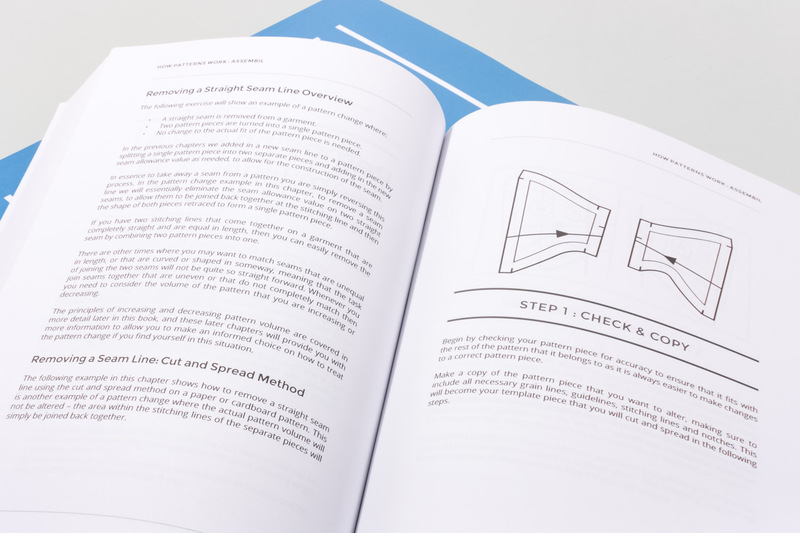 The book includes simple pattern changes that act as basic building blocks that can be applied to your own designs, giving you the confidence to create on your own without having to follow pattern cutting “recipes”. Got your own label? 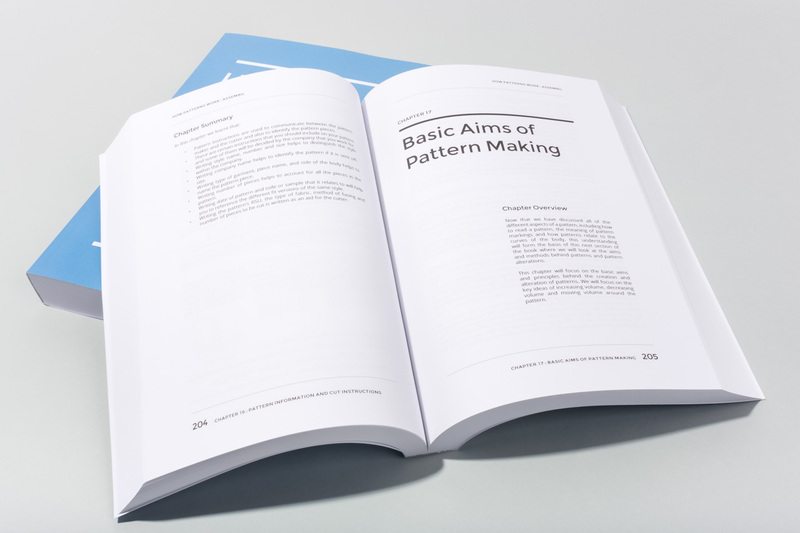 Already working professionally as a pattern maker? Put the measurements to one side and go back-to-basics when feeling confused by a complex pattern alteration or creative cutting experiment. Training junior staff members? Chapters build as you work through the book to provide you with a training outline. Pattern making is a complex process that requires an understanding of how the 3D curves of the body can be translated into a 2D blueprint. 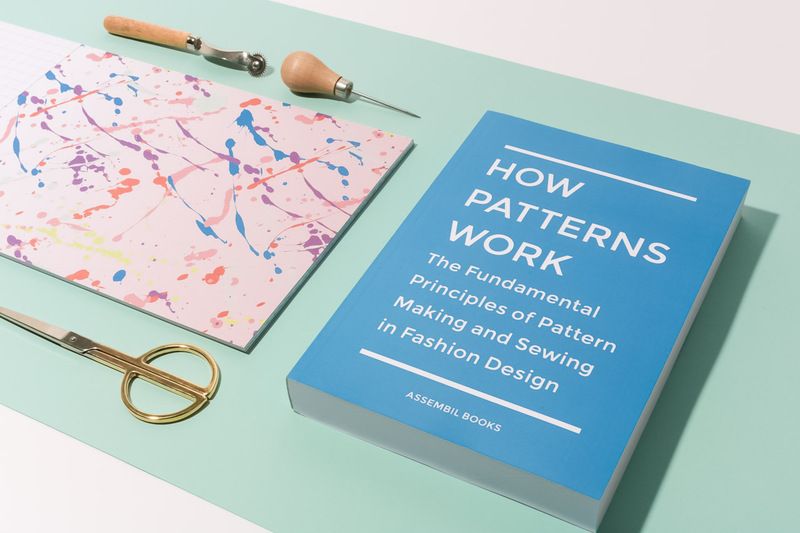 While there are many large, comprehensive texts that are well regarded in the field of pattern making, the complexity of these methods can sometimes leave fashion design students and home sewers behind. How Patterns Work is designed to act like a pattern making prequel. Instead of being another book filled with complex measurements, ratios and angles, How Patterns Work goes back to basics to ensure that students and sewers understand the fundamental principles behind many common pattern changes. The first half of the book is almost like a long-form dictionary of pattern terms to help provide a thorough explanation of all the different features of patterns such as grain lines and notches. Since patterns are essentially the blueprints for how to construct a garment, this gives you the confidence to know that you are using markings correctly. Most importantly, this ensures that you are communicating correctly with a sewing machinist (even when you’ll be the one doing the cutting and sewing). 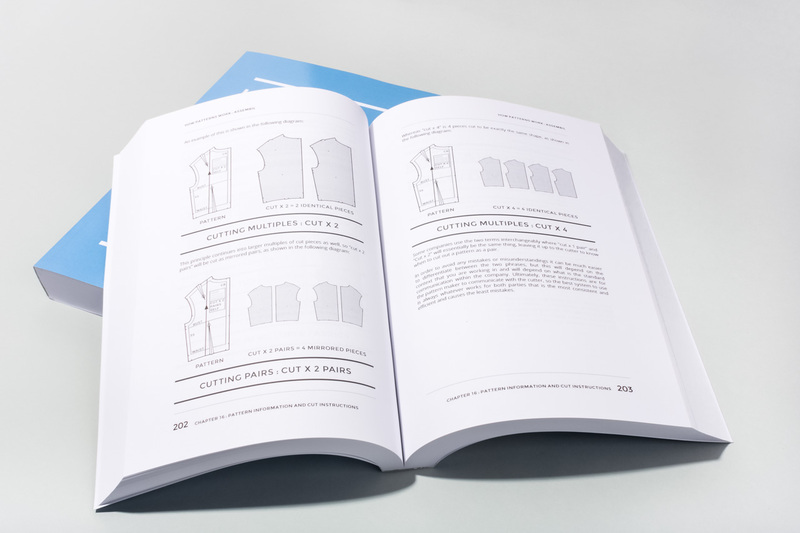 The second half of the book shows a range of different pattern making changes that can be learnt separately and can then be applied in different combinations to any garment pattern. Each change is shown using the cut and spread method, the pivot method and also as a draped example. This allows you to see how each pattern change will affect the fabric on the body. The reason why these pattern changes have been shown away from garments is to enable students to focus on the logic behind the pattern change, instead of becoming confused by the actual shape of the garment, or being distracted by working out body measurements. 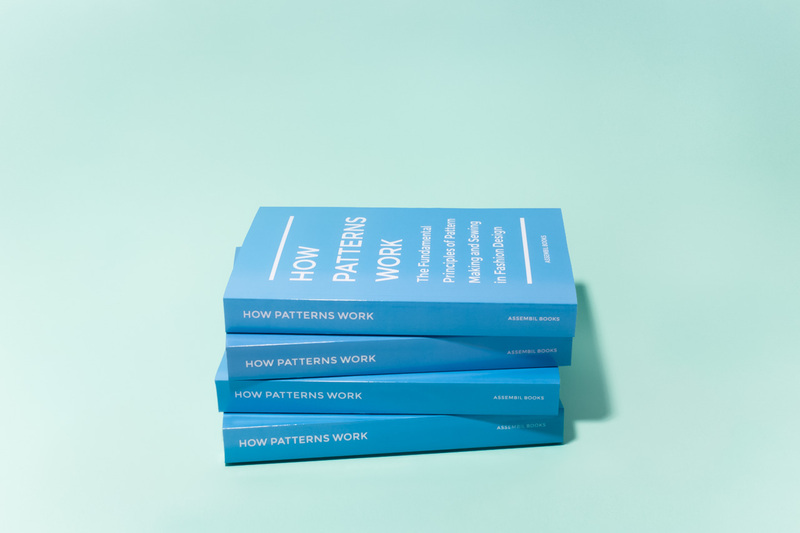 How Patterns Work is designed to sit alongside more comprehensive books as a companion text. While the book can often appear very simple, our approach has been that when somebody is really stuck on a part of a pattern and is just not quite “getting it”, then a longer explanation with lots of pictures can help the idea to really click, making it easier for the student to apply the same pattern change in future. 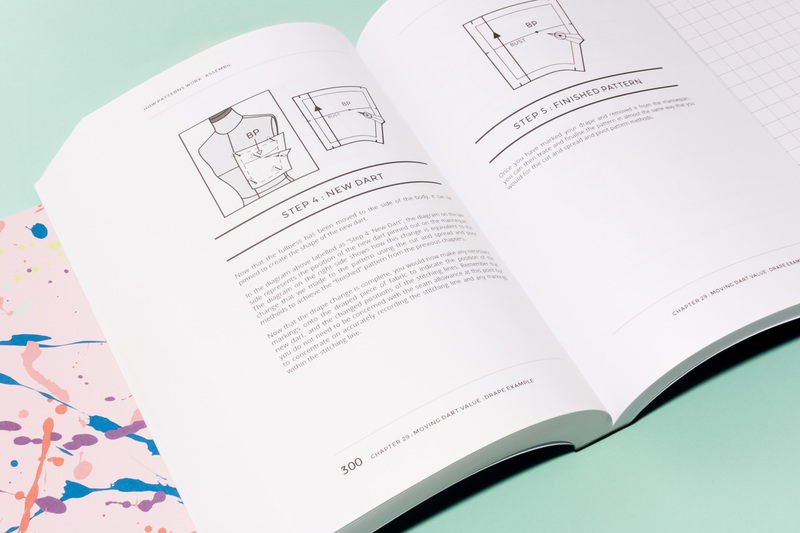 Note that this book is unlike other pattern making books – there aren’t tables filled with body measurements or long lists of pattern drafting instructions. 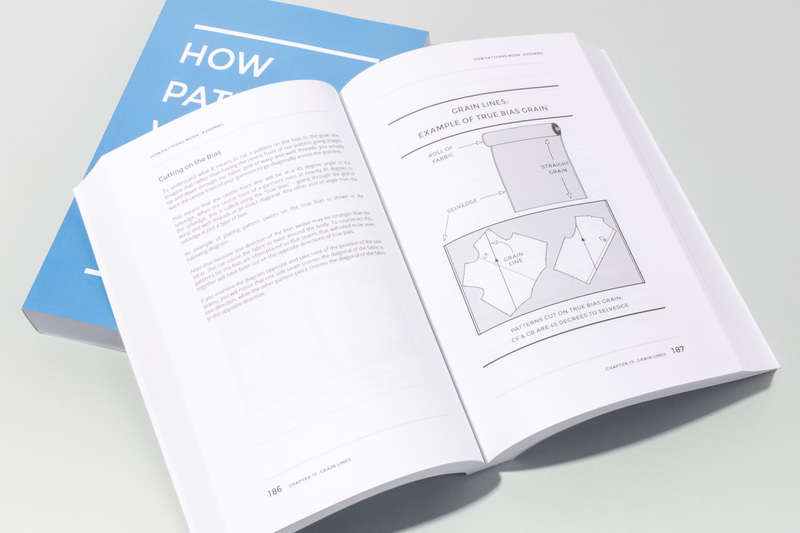 Instead, this book aims to teach you the why behind many different kinds of pattern changes. Once you understand the basic ideas at work, and grasp the mechanics of what is happening to the pattern and the fabric, you can then feel confident of making changes to any patterns on your own without needing to rely only on specific pattern recipes. This is our introductory pattern making book. In the print edition, 500 pages of crisp black and white images will take you through common pattern making terms and fundamental pattern changes. 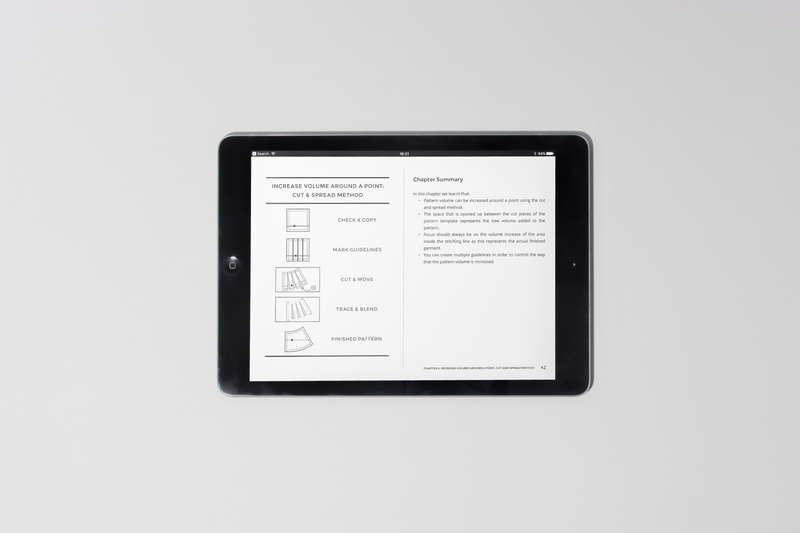 Specifically developed for the Kindle format with 70,000 words of flowable text content and over 250 diagrams in crisp black and white. 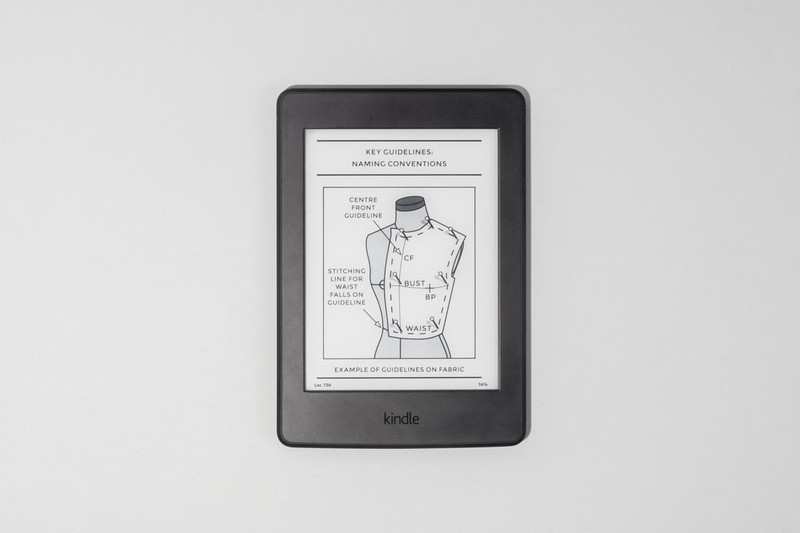 Unlike other ebooks that are converted from print editions, these diagrams were developed from the beginning with the Kindle in mind. Also features a fully linked Table of Contents for easy reference. Click on “View All Options” to read this eBook without a Kindle. 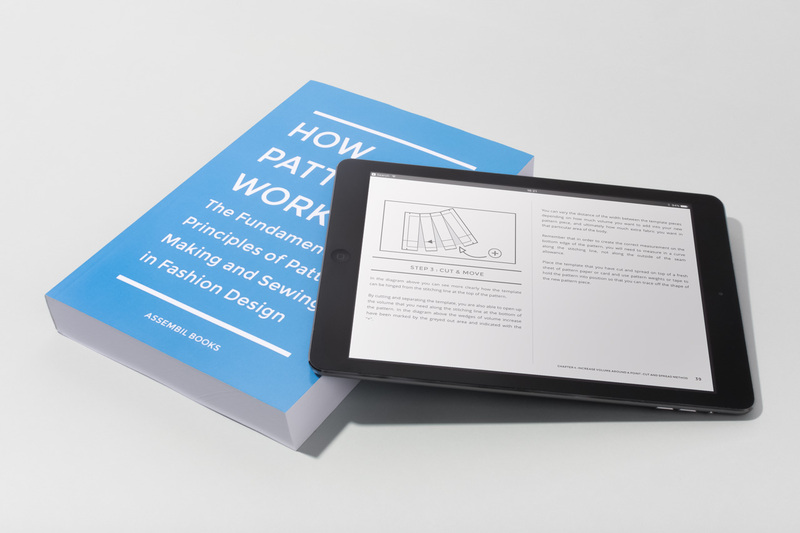 A version of How Patterns Work has been specifically formatted for Apple’s iBooks. This version has been designed to make use of the iPad’s retina display with high-resolution diagrams and specially formatted text. A free sample is available to download through iBooks. How Patterns Work has been designed to work as a teaching aid for students at different ability levels. In particular, it has been designed for use in fashion design courses at universities and colleges with an emphasis on skills needed to work in the garment industry. 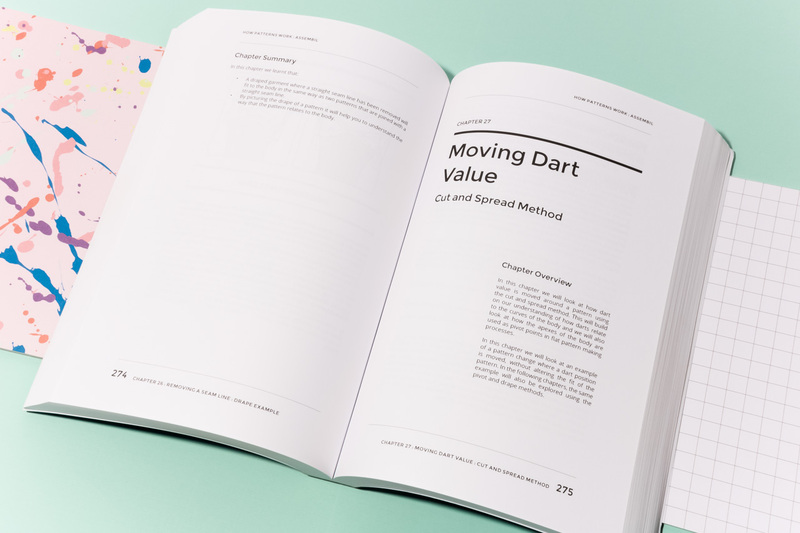 However, the use of straightforward language and clear diagrams also make the book ideal for teaching pattern making to students of all ages. How Patterns Work is used in fashion design courses all over the world. Feedback from tutors suggests that the book is helpful for students struggling to grasp pattern making concepts who need to see the ideas in a simpler format. Get in contact with us if you would like to request a review copy for your course. We can also help you organise discounts for bulk orders. 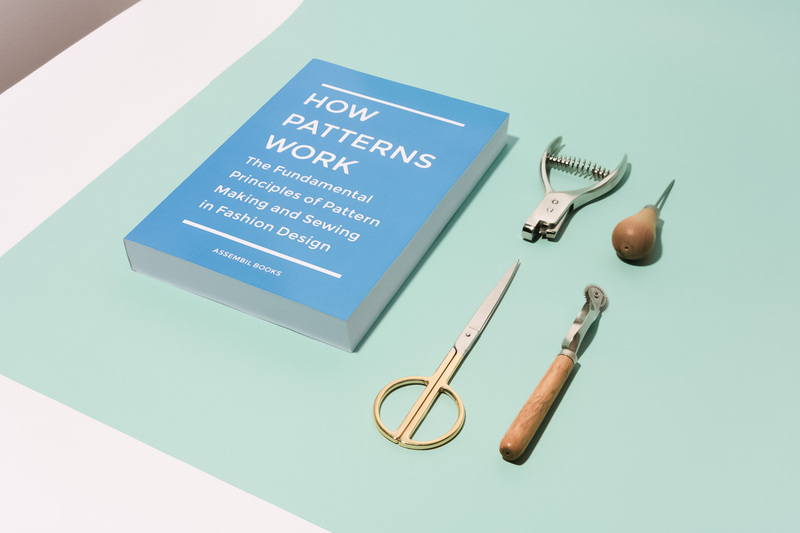 Looking to stock How Patterns Work in your bookstore or sewing shop? We can set you up with a wholesale discount to purchase bulk orders, so just get in contact below and we can help you out. The illustrations are clearly developed, and together with the descriptions in plain language, make links evident between various parts of the flat patternmaking process in a way that is easy to follow. I recommend this text alongside other flat patternmaking texts to enable various modes of learning in our first year flat patternmaking subjects. It is great to also be able to recommend the e-book version, and this has been received well by the students.